Shop.Mattel had the WWE Sin Cara vs. Daniel Byran Battle Pack in stock earlier today, but it is currently sold out. 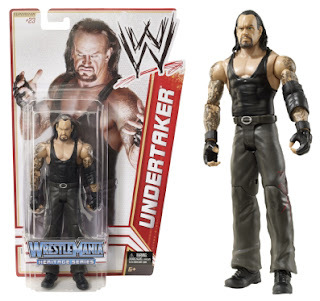 Shop.Mattel also had the WrestleMania Heritage basics in stock, but only Flashback Undertaker, Jack Swagger, Triple H and John Cena remain in stock. Shop.Mattel is currently offering 15% off all orders as part of their Tax Break Sale. Entering code IW4009266 at checkout will only save 10% and it cancels out the 15% standard discount. Enter code MOBILE20 at checkout to save 20% until May 7.